Write! Seriously. There’s no substitute for sitting down in front of a blank page and doing the hard yards. Be the person who does it, rather than the person who talks or dreams about it. Be kind to yourself. No one’s first draft is a masterpiece (well, maybe someone’s might be, but certainly no one I know!). Just keep going with your writing, even if you think what you’ve written is flawed. You’ll fix the flaws when you redraft, so keep moving. New ideas might arise as you progress with your work that would require a different ‘fix’ than the one you might choose early, in any case. Find your own style. Some people plot everything out in advance. Others make things up as they go along. And plenty of people sit somewhere in the middle. There are pros and cons to every approach, so don’t let anyone tell you there’s only one right way. The right way is the way that works for you. Finally, write what you’d like to read, not what you think might sell or impress. That way the process will be intrinsically rewarding, and that makes all the difference when the going gets tough – and the going always gets tough somewhere on the journey. The hardest part for me is always the redrafting process. I have more ideas than time, and I get real pleasure from sitting down in front of a blank page when I’m writing the first draft. It gives me an opportunity to play with some of the ideas I’ve been entertaining in my head, and I enjoy that process more than I can say. I particularly love it when I’m surprised by what shows up. I find the redrafting process more tedious. There are a few key reasons for this. Firstly, by some quirk of fate (rather than some virtue I’m claiming credit for), I have a very good memory. This means that I quickly memorise the flow of words and that makes it hard for me to see new opportunities and improvements once I have a specific sequence in my head. I also enjoy big picture thinking much more than detail, so scrabbling around in the minutiae is never the fun part for me. The final challenge for me is that I’m easily bored. I like playing with new ideas, not tinkering endlessly with old ones that don’t seem as shiny anymore. I remind myself that my job is to maximise the shine for my readers, and that motivates me – until I start thinking about chocolate, and then I find myself all too easily distracted. I always gain weight when I’m revising! I do have a specific writing style, but the guidelines I follow aren’t easy to explain. I don’t enjoy pretentious writing. It gets between me and the story, and I’m not interested in reading a book just so someone can admire themselves in the mirror and say ‘look how clever I am’. So one of my key rules is to make my style as invisible as possible. My writing is a vehicle for the story and I try to keep myself as far out of the way as I can. That means using the right words rather than the most impressive words I know. It means making sure that particular words don’t jump out, because they’re not quite right for some reason. It means ensuring that the flow of words is smooth and fluent so the reader is not pulled out of the story by a clumsy rhythm. I try to wear a cloak of invisibility, and if people say my novel is an ‘easy read’ (as a number of reviewers have), then I feel I’ve done my job. No. And that’s a good thing. There were some unsavoury types in Striking Out! I did feel, though, as if my characters were real people. For me, they have to be alive in my head before I can do them justice on the page. I need to know what they look like, how they talk, how they move, how they think, what they wear. This is not so I can describe them to my readers, although it certainly helps with that, but because I only know what they’re going to do and say next once I can actually see them in my head. Scenes run through my mind like movies, and when I’m not sure what should happen next, I close my eyes and run the scene from the start. Once a mental movie is rolling, the flow is usually smooth and easy. Funnily enough, once the movie has revealed the answer, there’s a strange sense of inevitability about it – ‘of course, that’s what should happen!’ Why didn’t I think of that? I like to draw my own messages from novels – which may or may not be the ones the author intended – and I assume my readers like to do the same, so I never write with an agenda. I’m happy for people to take what they want from my work, and grateful that they’ve taken the time to do so. Having said that, there’s enough darkness in the world without me adding to it, so I try not to depress anybody. Life can be incredibly hard at times. I like books that offer some respite. I would love to check out this book with the Australian humour. I always love humor, even if you life is in shambles. Thank you for visiting and posting a comment - however if you post a link to a different product website on a product review your comment will NOT be posted as that is spam and unwanted and it is downright unethical to do that and will not be tolerated. 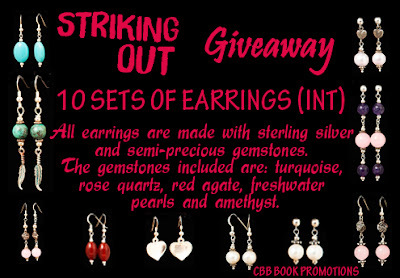 Karen Kincy Birthday Celebration and Giveaway!!! The Donor by Nikki Rae Blog Tour with Giveaway! Pulse by D.G. Whiskey Cover Unveil! Dragon's Future by Kandi Wyatt Release Event! Svatura Cover Re-Reveal and Giveaway! 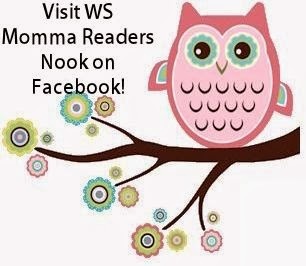 WS Momma Readers Nook on Facebook! Zombies and Vampires and Witches Oh My!